I’m still unpacking and getting myself organised again after our trip to Japan, so I’m afraid this is another shopping post. This time I thought I would share pictures of the plastic folders I picked up on our trip. I don’t usually buy them as they just end up in a pile in my drawer. However, over the last few months, I have found more and more uses for them. I put all sorts of things in them now – everything from take-away menus to business contracts. Most of them were fairly inexpensive (around 105Y each) but the Sanrio folders were much more costly (315Y each from memory). 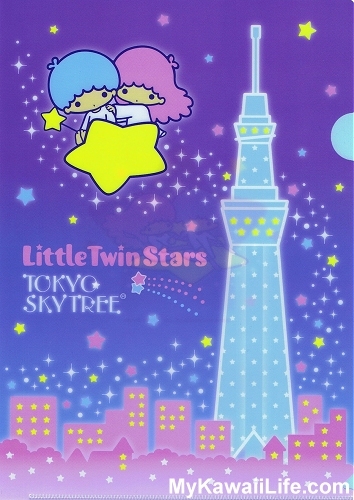 I chose the two Sanrio ones both because they are cute and because they make nice souvenirs. I found this one at the shopping centre beneath Tokyo Skytree. 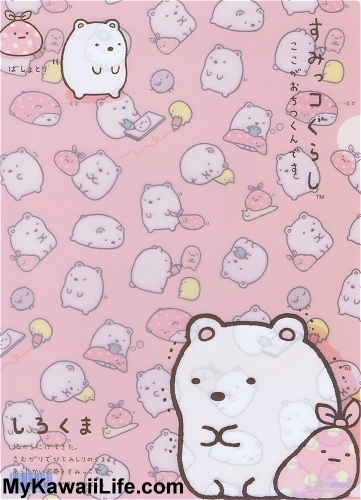 My favourite plastic folders are the selection of Sumikko Gurashi folders I found at Kiddyland. They are just so kawaii! The Sumikko Gurashi characters are fairly new but they are already some my favourite characters from San-X. I can’t be the only one either. San-X seems to be releasing more and more goods featuring them. Yay!!! How do you use these type of plastic folders? I’d love to hear other ideas on how you use them around the home. I need some excuses to buy some more. Lol. 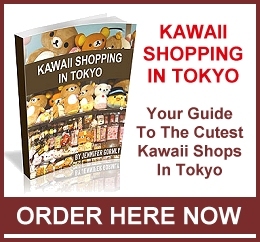 This entry was posted in Kawaii Stationery, San-X and tagged Japan, Kawaii, Little Twin Stars, San-X, Sanrio, Sumikko Gurashi. Bookmark the permalink. 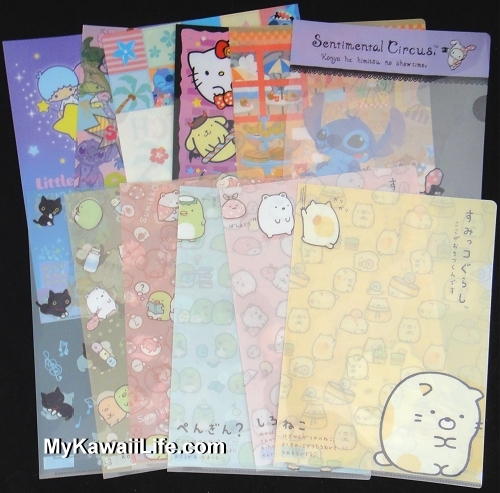 One Response to "Kawaii Plastic Folders"
I wonder if those large sheets of stickers of stickers would fit in them?